June Carter with Johnny Cash | Take Back Halloween! June Carter was a pistol, and she met her match in Johnny Cash (1932-2003). Their remarkable love story still fascinates people, and so it is perhaps no surprise that they topped the poll when we asked our fans to vote for a couples costume. 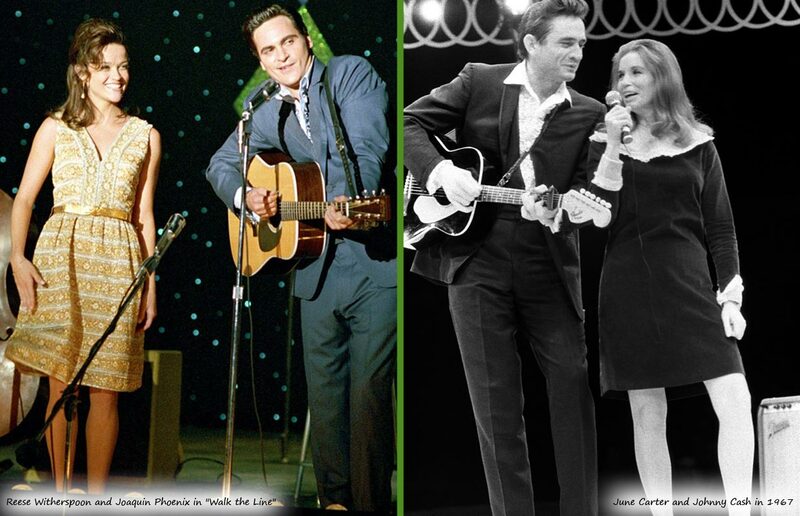 It probably helps that their story spans almost five decades, so couples of all ages and sartorial inclinations can find themselves in Johnny and June. Reese Witherspoon in costume as June Carter. 1. Peach Couture retro dress in paisley olive . This belted A-line dress has a very 60s vibe. We’ve seen kitchens that had vinyl flooring like that. 2. 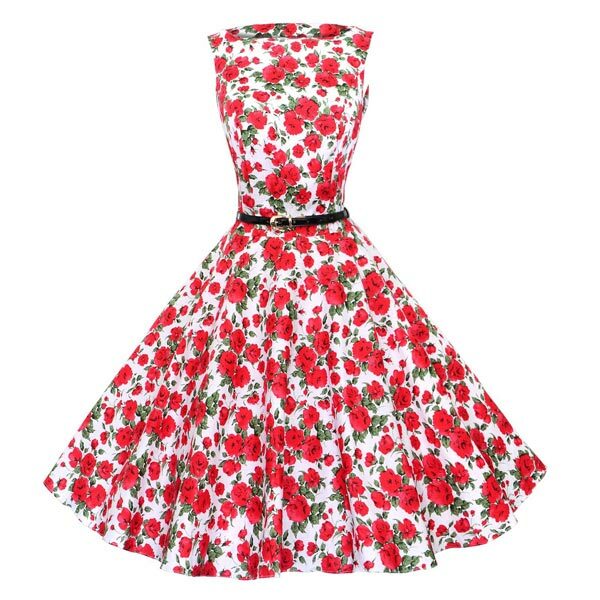 Alternate dress: Maggie Tang rockabilly dress in red rose . This is more of a 50s look or very early 60s, and the print is similar to one of the dresses Reese Witherspoon wears in Walk the Line (right). 3. 60s style wig. 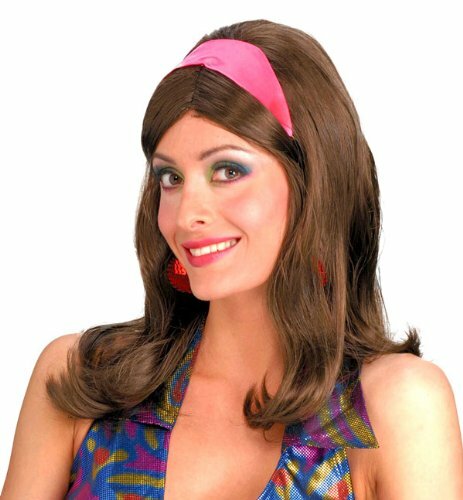 You definitely need long brown hair to be June, and this wig will give you a 60s look. 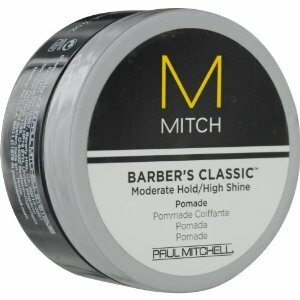 Unless of course you have already long hair that you can tease and flip into that style. 4. Basic black shirt . 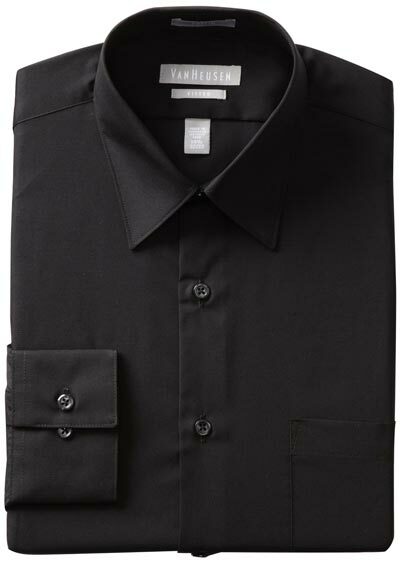 Johnny Cash was known as the Man in Black, so an easy costume choice is to pair a black dress shirt with black pants or jeans. If you have a black suit or jacket too, that would be awesome. 5. 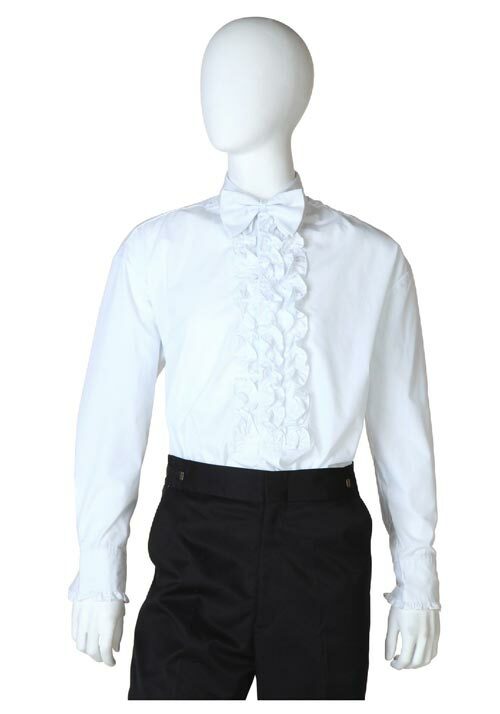 Alternate shirt: Ruffled-front tuxedo shirt . If you have a dark suit, you can go for Johnny’s late 60s look by pairing it with a retro style ruffled-front shirt. Notice how Johnny’s dressed in our main illustration above. Late 60s, all about the ruffles. Props: Carry a guitar, obviously.